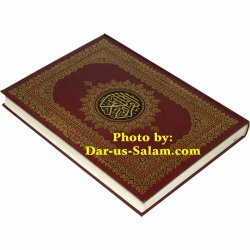 Quran main section covering all the Qurans, translations, tafseer/explanation and related items. 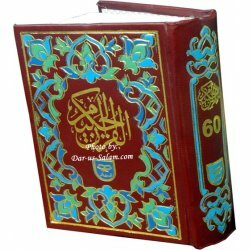 Quran There are 175 products. 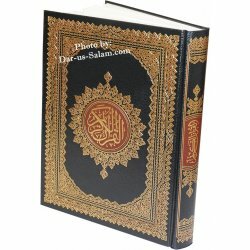 Bold Script Qur'an with 15 lines per page. Each page ends with the completion of a verse. Small 4x5x1 inch HB with Glossy paper. 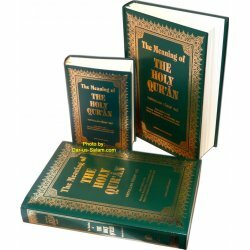 Al-Qur'an, the Guidance for mankind, is a unique translation of the Holy Qur'an in contemporary American English by Farooq Malik. English Only. 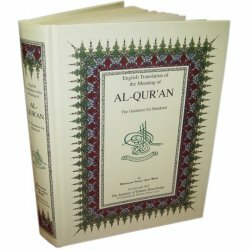 Al-Qur'an, the Guidance for mankind, is a unique translation of the Holy Qur'an in contemporary American English by Farooq Malik. Arabic-English. 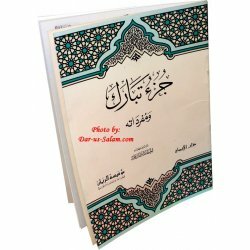 New type of Noble Quran with standard Arabic Mushaf Uthmani 15 lines/page print on the right side and English translation on the left side of every page. It includes tafsir footnotes on the bottom of the English page. 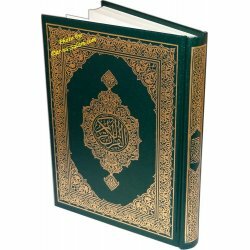 Large hardback edition of the easy to read modern English translation of The Noble Quran/Koran with Arabic text and brief explanations. Translation by Dr. Muhammad Muhsin Khan and Dr. Al-Hilal. 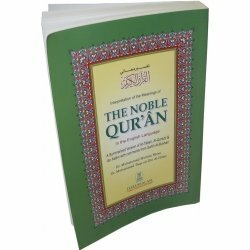 Standard hardback edition of the easy to read modern English translation of The Noble Quran/Koran with Arabic text and brief explanations. Translation by Dr. Muhammad Muhsin Khan and Dr. Al-Hilal. 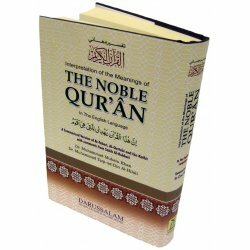 Standard paperback edition of the easy to read modern English translation of The Noble Quran/Koran with Arabic text and brief explanations. Translation by Dr. Muhammad Muhsin Khan and Dr. Al-Hilal. 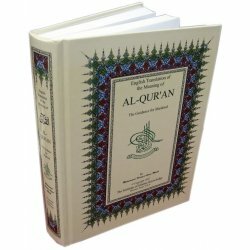 Standard hardback edition of the easy to read modern English translation of The Noble Quran/Koran with Indo-Pak/Persian Arabic text and brief explanations. Translation by Dr. Muhammad Muhsin Khan and Dr. Al-Hilal. 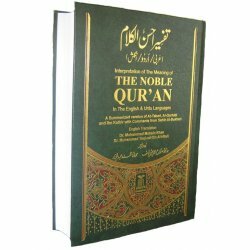 Medium hardback edition of the easy to read modern English translation of The Noble Quran/Koran with Arabic text and brief explanations. Translation by Dr. Muhammad Muhsin Khan and Dr. Al-Hilal. 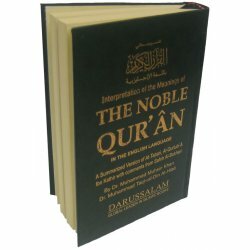 Medium size edition of the easy to read modern English translation of The Noble Quran/Koran with Arabic text and brief explanations. Translation by Dr. Muhammad Muhsin Khan and Dr. Al-Hilal. 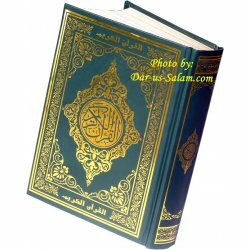 Pocket size edition of the easy to read modern English translation of The Noble Quran/Koran with Arabic text and brief explanations. Translation by Dr. Muhammad Muhsin Khan and Dr. Al-Hilal. 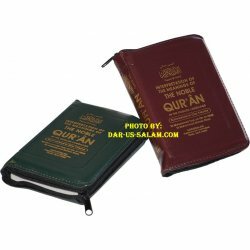 Pocket zipper case edition of the easy to read the modern English translation of The Noble Quran/Koran with Arabic text and brief explanations. Translation by Dr. Muhammad Muhsin Khan and Dr. Al-Hilal. 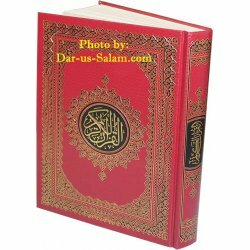 The Meaning of the Holy Qur'an - Translated by: Abdullah Yusuf 'Ali. 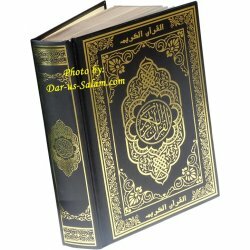 Arabic Text with Revised English Translation, Commentary and Index.